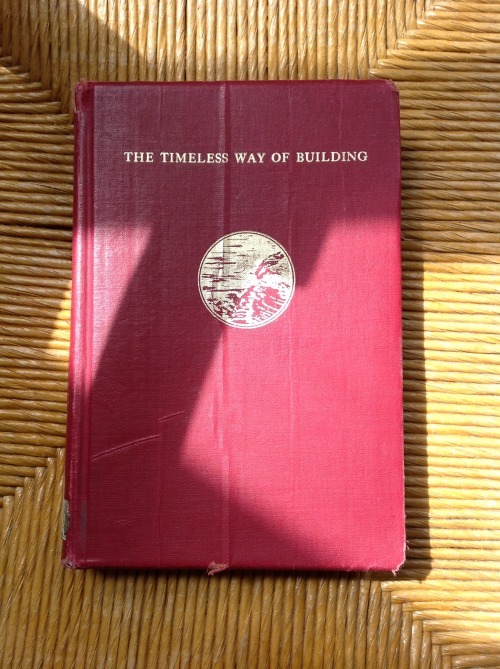 There is one timeless way of building ... But though this method is precise, it cannot be used mechanically. Indeed it turns out, in the end, that what this method does is simply free us from all method ... To purge ourselves of these illusions, to become free of all the artificial images of order which distort the nature that is in us, we must first learn a discipline which teaches us the true relationship between ourselves and our surroundings. Then, once this discipline has done its work, and pricked the bubbles of illusion which we cling to now, we will be ready to give up the discipline, and act as nature does. This is the timeless way of building: learning the discipline—and shedding it. We have a habit of thinking that the deepest insights, the most mystical, and spiritual insights, are somehow less ordinary than most things—that they are extraordinary. This is only the shallow refuge of the person who does not yet know what he is doing. In fact, the opposite is true: the most mystical, most religious, most wonderful—these are not less ordinary than most things—they are more ordinary than most things. It is because they are so ordinary, indeed, that they strike to the core.